In this dystopian adventure film, Katniss Everdeen and her friend Peeta embark on a victory tour after their unprecedented victory in the Hunger Games. It's not all celebrations, though, as rebellion is simmering in the districts they visit. Jennifer Lawrence stars in this second film in the franchise. 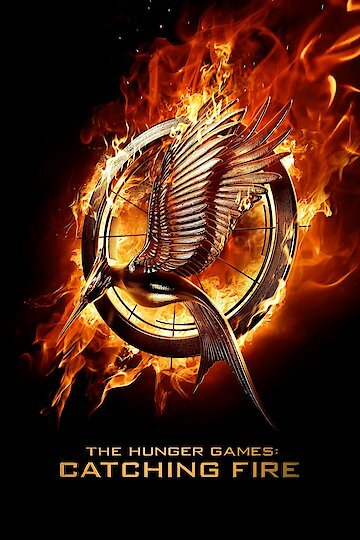 The Hunger Games: Catching Fire is currently available to watch and stream, download, buy, rent on demand at TNT, FlixFling VOD, Amazon, Vudu, Google Play, iTunes, YouTube VOD online. Want to know what you should watch on Netflix next month? More details surrounding the death of actor Phillip Seymour Hoffman are emerging, including just how serious his drug problem had gotten. If you've ever wondered how Jennifer Lawrence achieves that special blend of charm and quirky awkwardness, it might be because she's drunk. The star of "The Hunger Games" reportedly revealed to Seth Myers in an upcoming interview that she got more than a little tipsy at the Oscars. According to the report, Lawrence admitted to Myers that she was drunk at the ceremony and got even drunker at the afterparty. The world lost a great actor today; Phillip Seymour Hoffman was found dead of an apparent drug overdose this morning. Jennifer Lawrence can do no wrong in the eyes of the Internet. But that doesn't mean the Internet won't make fun of her dress. JLaw wore a white Dior gown to last night's Golden Globes, and the unique design of the dress immediately sparked debate among fashion bloggers. Was that electrical tape tied around the middle of the gown? What was going on there? Before long, the two-time Golden Globe winner (including one last night for her performance in "American Hustle") was the subject of a brand-new meme: "Lawrencing. Katniss Everdeen has her sights set on the box office title this weekend, and there's no realistic chance that any other movie is going to keep her from victory. The tighter race is for second place; will the winner be Thor, "The Best Man" or "Delivery Man"? Two wildly successful movies combined this week to make the long Thanksgiving break into the most financially successful holiday movie weekend in history. But although the top two films sold a huge number of tickets, other new releases didn't fare as well.